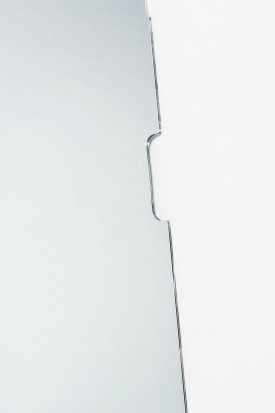 It is its elongated trapezoidal form that makes Slanted Mirror so striking. While the trapezoid may not be considered one of the more exotic geometric shapes, it is rather rare for a mirror. 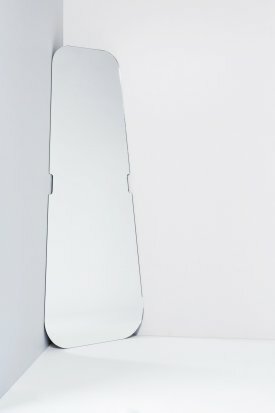 Mirrors, be they big or small, are usually given a rectangular, round or oval silhouette. Why then this deviation? 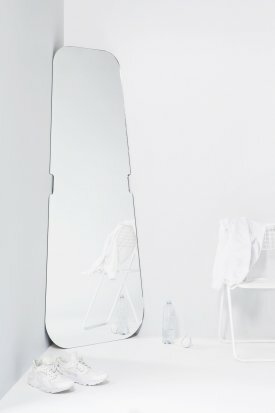 It allows you – and this explains the choice of the trapezoid – to place the mirror in a corner, basically “connecting” three of its sides to the floor and the walls. However, it is not only this geometric/mechanical aspect that provides that extra touch in the quality of the design, but also that the mirror can be placed in the corner of a room: a rather marginal area in the four walls of your home. It means that the space from where I can approach the mirror and view myself in it is expanded to the entire room.